Moscow Jam festival: the widest selection of jam. RBTH presents a digest of Russia's most delicious culinary events from July 6-12, 2016. Although only in its second year, the Moscow Summer Jam Festival has already become an anticipated event in the culinary calendar of the Russian capital. This year it will last for two weeks, from July 15 to July 31. 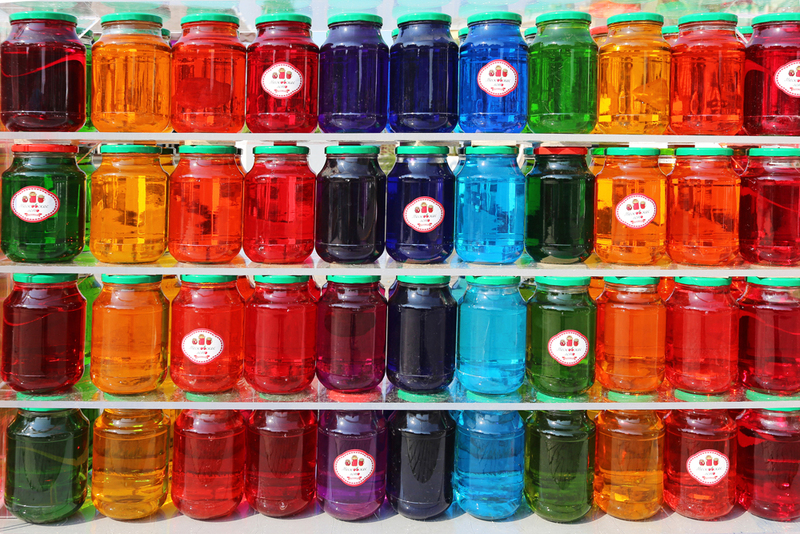 Jam can be purchased at 173 chalets located in 22 locations throughout the city. Each location will have its own unique appearance, created with the help of landscape designers and various installations. Sixty-seven restaurants will also highlight jam in their menus. Foreign jams will join offerings from different regions of Russia, to give guests the widest selection of jams. Prepare yourself for every possible flavor and ingredient: there will be the opportunity to try jam made from eggplants, olives, pine cones, cactuses and dandelions — as well as traditional berry flavors. Various candies, fruits, syrups and ice cream will also be available for purchase and guests can take part in concerts, workshops, performances and more associated with the event. Scientists from the Institute of Medical-biological Problems of the Russian Academy of Sciences are launching a new experiment. They will send a red pepper plant to grow at the International Space Station. The pepper, a sweet dwarf “Tryton” breed, will be planted in the modernized Lada greenhouse at the I.S.S. All the equipment necessary for growing the pepper will be delivered in one of the upcoming missions. The experiment will last for 120 days, and the first harvest is expected in the middle of 2017. If the experiment is successful and the vegetables grow past the development stage, the astronauts will bring the peppers to the Earth for further research at the Institute. The dwarf pepper won’t be the first plant grown in orbit: leaf crops, including Mizuna lettuce; dwarf peas; wheat and small radishes already have been grown in space — some from seeds also cultivated in flight. The Nikola-Lenivets arts colony and landscape architecture park, located 75 miles south of Moscow, will host its first “gastrocamp” this week. The event, called “Smena,” will take place from July 14-July 17 and will welcome renowned chefs from Moscow, Belgium and France along with local farmers. The camp consists of two main parts: The first part, which will take place July 14-15, is aimed at professionals and will consist of gathering mushrooms, berries and local herbs. These will later be tested and prepared by the chefs. On July 16-17, the event opens to food enthusiasts who can participate in workshops held by culinary schools and try specially prepared dishes at locations throughout the park. The high point of the event will be the “Chef’s dinner” at the picturesque meadow of Versailles park (see the website for tickets). The gastrocamp will be a unique experiment for the culinary professionals, who will have to prepare their dishes using only a small range of culinary devices - including a traditional Russian stove. Fortunately this bucolic village is the perfect place to try cooking without the modern conveniences.